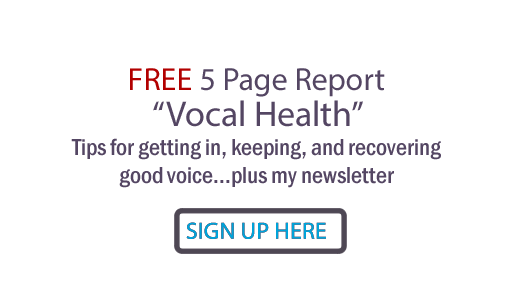 Judy Rodman - All Things Vocal Blog: Recording Producer: How Do You Pick One? Getting the right person at the helm of your recording project is essential to getting the biggest bang for your bucks and your artistic efforts. In this first post of a two-part series, I'd like to offer some factors to help you decide how to pick the recording producer for your next project. Like a CEO of a company is responsible to the shareholders, the producer is ultimately responsible to YOU. You must pick someone you feel can pick your brain and make an accurate assessment of the project YOU want to record- and get it done within the budget upon which you agree after consultation meetings. The first thing your producer must do is to help you find and/or possibly write songs (if the producer is a great songwriter), then help you choose the final group for your project. If you are recording your own songs, your producer's informed and objective opinion should help you to choose the best ones for this particular project. There are legalities and credits that must be addressed: If you're new at the music business, your producer should make sure you obtain publishing information, performance rights licenses, etc. from the songwriters and publishers of the songs you choose. If you're the writer or co-writer, care should be taken that you are signed up with a performance rights organizations like BMI, ASCAP or SESAC. The next step would be pre-production. This involves experimenting with sounds, keys, style and vocal lessons to optimize your singing ability. Sometimes the producer will choose and call a "band leader" into pre-production meetings so that this lead musician can add to the brainstorming discussions. The producer or bandleader will then do music charts for the tracking sessions. Your producer should be able to design your project to fit within the genre you want to be in. Or like Kurt-Cobain-before-grunge-was-a-genre, if you are confident enough already with your artistic style, your producer should be able to help you make YOU-MUSIC, possibly inventing a whole new musical genre! And "niche music" success has never been more possible than right now, with the marketing and promotion options open to us through the internet and the consolidated corporate music bottlenecks like major labels and radio conglomerates breaking down. You should choose a producer who you are confident can pick the right team for your project. This would include choosing the best musicians and background singers for the type of tracks you need. Your tracks can be paired down acoustic tracks with only a basic band or a full-blown production with strings and other genre-specific extra instruments. Or it can be electronic or hip-hop music which demands a lot of synthesized sounds you get from gear, which your producer should understand. The producer should also be able to suggest the right studio, recording engineer and mixing/mastering engineer(s) for your budget and for the quality of "sonic envelope" you want the final mix to have. And very important: your producer should either be a qualified vocal producer, or have one on the team. Don't spend all your money on tracks and leave the quality of the vocal to chance! Next post, I will discuss the politics and ethics that you should know concerning your choice of recording producer. If you'd like to know about my production and vocal production services, check out this webpage and contact me through my website.